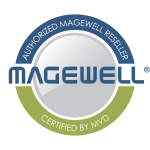 StreamDynamics is an authorized reseller of Magewell and their top-flight video capture devices, as well as other vendors that support streaming video applications. Visit our StreamGear.net storefront to browse the hardware and software offerings, or get more information on the vendors we support. StreamDynamics, a new company – decades of streaming expertise. We thrive on making streaming easy. 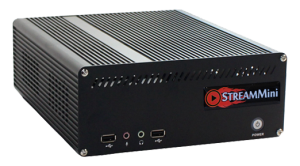 StreamMini - High Performance Ultralight webcasting system. Rapid solutions: Built on the PowerShow UX Framework – configurable graphics, layout, features and compatibility allows rapid player deployment for a wide-range of uses. Custom player without the custom cost. Use our cloud or yours: Our boutique Content Delivery Network allows for elastic global delivery, and, coupled with the PowerShow Framework, is well suited for hybrid corporate applications. Standard packages include Multi-screen delivery. Fanatical support: Talk to us – We love streaming. We live solutions.